Online "slow fashion" retailer Zady is launching a new interactive tool to help shoppers understand where their clothes come from, and a set of guidelines to help other fashion brands raise the bar on sustainability and human rights. 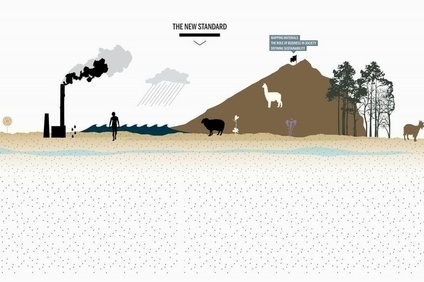 The interactive tool – The New Standard – is an information tool for consumers wanting to know the environmental impact of the clothes they are buying, and serves as the backbone to the brand's first full 'Essentials' collection. Zady says it is also aiming to create an industry standard for sustainable, better production. “We developed The New Standard to help us understand how we, as an industry, are going to be able to dress the global population in 2050,” says Maxine Bédat, CEO and co-founder of Zady. “While we have found ways to make cars run cleaner and more fuel-efficient, we still live in a world where 98% of factory workers are not receiving a living wage and where factories rely on the dirtiest energy supply (coal) to churn out fast-fashion that is worn on average only seven times before it is discarded and clogs our landfills. The standard helps explain the fashion industry’s role as the world’s second largest industrial polluter behind the oil industry. For example, plastic microfibres that shed from synthetic clothing into the water supply account for 85% of the human-made material found along ocean shores, threatening marine wildlife and ending up in food supplies. Additionally, the standard also aims to address other issues in production, from worker ethics to forests, soil, and air.